Surprisingly, she started the discussion on the Andhra Pradesh Reorganisation Amendment Bill, 2015, in the Lok Sabha. She straight away targeted BJP government and alleged them of failing the promises made during bifurcation of the state. 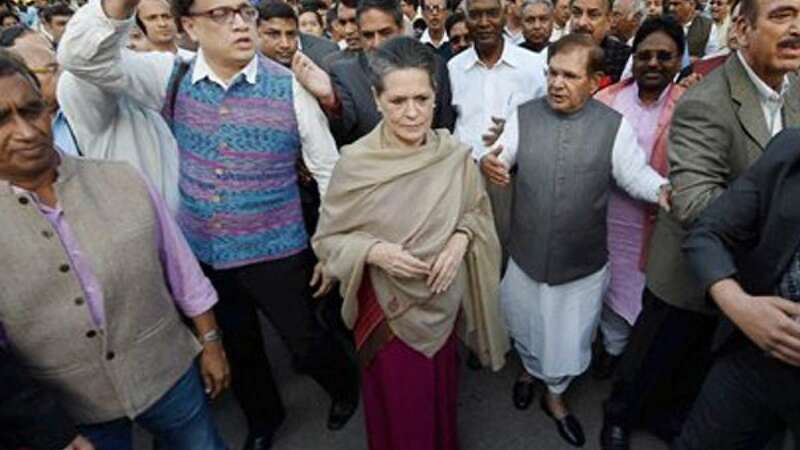 On the eve of same day she was seen leading a march of 14 opposition parties from parliament to Rashtrapati Bhawan to protest against the government’s move to amend the 2014 Land Acquisition Act. However, JD(U) leader Sharad Pawar credited the bill as anti-farmers and also anti-india. Congress Vice-President Rahul Gandhi showed his absence as he is apparently on a holiday.